If you’re looking for a phablet that puts the Galaxy Note II to shame, then you won’t find it in real life. 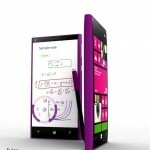 However, in the land of concepts everything is possible, even the purple Nokia Lumia OneNote, created by Ibrahim Sujau. We’re dealing with a 5.5 inch phablet with an AMOLED HD touchscreen display and8.2 mm waistline. 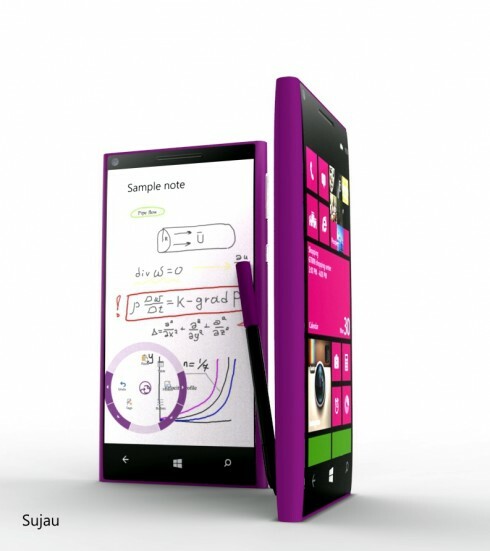 The design is pretty much like the one of the Lumia 900, but with a curved screen and a fancy little stylus. 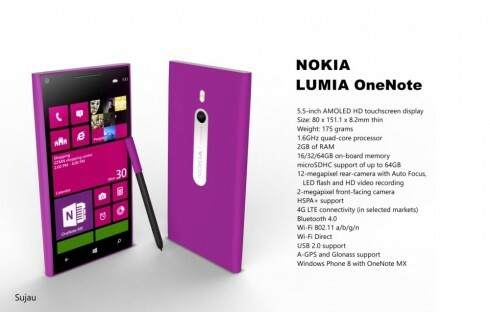 Nokia Lumia OneNote weighs 175 grams and packs a quad core 1.6 GHz processor, as well as 2 GB of RAM. Other features include 16, 32 or 64 GB of storage, a microSDHC card slot and a 12 megapixel rear camera with autofocus, LED flash and HD video recording. There’s also a front 2 megapixel camera and support for HSPA+ connectivity. 4G LTE connectivity is also available, plus Bluetooth 4.0 and WiFi. 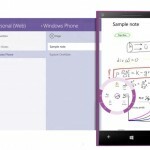 As far as software goes, the Nokia phablet gets Windows Phone 8 with OneNote MX. As you can see, you can scribble down Math formulae and that circle interface is pretty nice, actually. In the last pic below you can also see some other applications of the business side of this device and how you can use it to complement your work. Pretty cool right? Samsung has nothing on this baby!